The new H&K VP Series FDE framed pistols are one expansion offering. Heckler & Koch (H&K) recently announced the expansion of their incredibly popular VP-9 in 2014, H&K added the VP-40 in the summer of 2015. The new VP Series in 2014, they immediately gained applause for the well-designed and handsome appearance of their latest pistol. H&K was the first to introduce a striker-fired pistol, with the VP-70 in 1970. The H&K P7 series came in the late 1970’s as the popularity of striker-fired pistols was starting to grow. When the P30 arrived in 2006 the pistol received a lot of praise, but also very quickly garnered requests for a striker-fired version. Building on their experience, the new VP Series pistols have resulted in the fit and feel of custom handguns, one of the best triggers of any handgun on the market, and a contoured grip to rival the best. 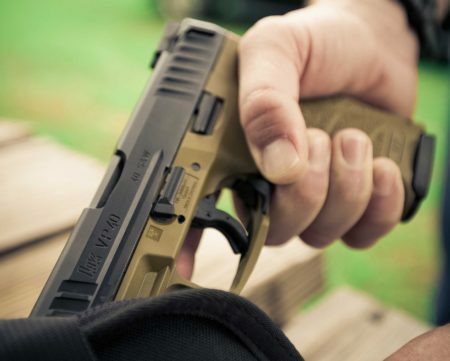 The VP9 with FDE frame can appeal to more outdoor shooters. When Heckler & Koch decided to add a FDE frame the company decided, in order to maintain quality and reputation, the colors had to be added to the frame during the molding process and not just be an after-market coating. 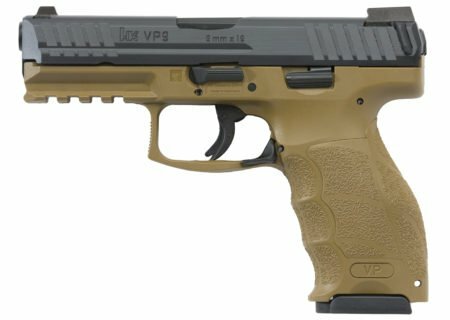 H&K now offers the VP Series FDE models in both 9mm (VP9) and .40 caliber (VP40). By choosing the manufacturing process they have, the VP Series FDE color frame cannot fade or chip and is impervious to chemicals, sun, and exposure to the elements. FDE models have all of the highly regarded VP features, with just the addition of their colored frames. The H&K VP FDE pistols are designed to blend in with the outdoor surroundings. Flat Dark Earth (FDE) is a color in between tan and brown, and has gained favor among many military and security units in recent years. Many shooters prefer FDE frames and even slide coatings over the typical black or even stainless steel, because FDE blends much better with natural environments. For those who shoot extensively outside, the FDE can also help reduce overall weapon heat from sun exposure. MSRP: $819.00 ($100 more than standard). The H&K VP9 Tactical has a longer and slightly heavier threaded barrel ready for silencer attachment. The VP Tactical models will also be available in both 9 mm and .40 S&W. The VP Tactical pistols are identical to standard HK VP pistols, with the exception of adding a premium grade threaded barrel. 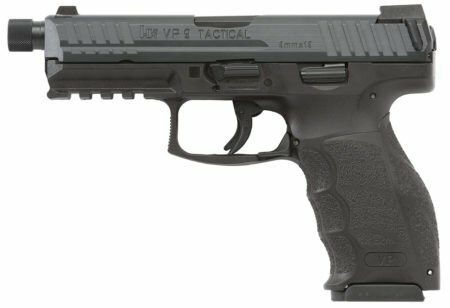 The slightly longer and heavier threaded barrel will add slightly to the overall weight and length of the Tactical models, but otherwise the handgun is the same as the original VP9 or VP40. Another look at the H&K VP9 Tactical. The threaded barrels are made at H&K’s Oberndorf factory. Using proprietary cannon grade steel, and the legendary Heckler & Koch cold-hammer forging process, the VP Series barrels are well-known for their long service life. These barrels are similar to the barrels used on H&K P30 models which have proven themselves after firing more than 90,000 rounds in endurance tests. Silencers have been making a heavy push into the firearms market, as more and more shooters prefer to have a quieter report. 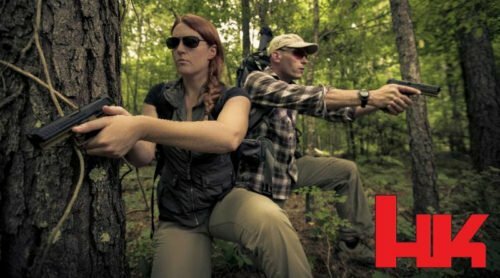 Whether for tactical operations, hunting, or simply shooting with a much reduced chance of hearing damage, there has been a major push to make firearms silencer ready. Though a silencer still requires the ATF $200 Stamp, the influx of new manufacturers and technologically superior designs has really made adding a silencer a realistic option. There are plenty times in police tactical work where a surgical removal of lights, without the tale-tell sound of a shot is not only tactically sound, but necessary. Having an accurate firearm with a new silencer can be a great addition for any tactical team. MSRP: $899.00 ($180.00 more than standard). Both the VP FDE frame models, and the VP Tactical models are made completely in HK’s Oberndorf factory. H&K’s advanced technologies are harnessed for barrel manufacturing, machined steel slide production, polymer frame molding, and all internal components. 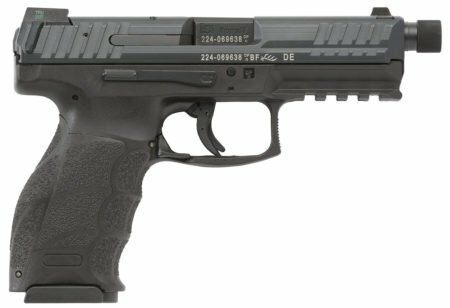 HK VP pistols are competitively priced and covered by Heckler & Koch’s lifetime warranty. The H&K VP Series of handguns have been widely praised for their amazing triggers, impressive grip and incredibly durable function. Our reviews have confirmed the media blasts on the qualities of the VP Series pistols and we would enthusiastically endorse them for duty or off-duty use. The new FDE and Tactical models expand the options available for shooters across a much greater spectrum of users. Though FDE frames can be trendy, and don’t always catch on as much as manufacturers and shooters may think, the Tactical version should do well in a market rapidly expanding the more silent shot. Mike I agree this would be a great addition. Though threaded barreled Tactical pistols have smaller demand and production, since HK already has a FDE frame it would seem there would be no big deal to offer that option. Maybe if you contact HK USA direct you could get them to ship a special order VP9 Tactical with FDE frame.